In the US alone, about ten million wisdom teeth are extracted from about 5 million people every year. Wisdom teeth are the last to make their presence known, appearing only when a person is between the ages of 17 and 25. Some wisdom teeth grow straight up, others grow sideways, or emerge only partially, with the rest of the tooth trapped underneath the gums and bone. Wisdom teeth are unnecessary in humans, even though evolution hasn’t phased them out yet. When these teeth become trapped within gums, they are considered impacted and need to be removed. Impacted wisdom teeth lead to issues such as misalignment of other teeth, pain or infection. In the US alone, about ten million wisdom teeth are extracted from about 5 million people every year. There was a time when Homo sapiens needed their wisdom teeth to crack the bones of the animals they killed. However, over time they built tools for this purpose. The new tools that Homo sapiens started using meant that humans didn’t need teeth as big or jaws as large as early man. Evolution took care of the rest, spending less energy in developing teeth, making teeth smaller as the ages passed. Since these wisdom teeth are no longer needed, they are free to cause issues. How Do You Know Your Wisdom Tooth Is Impacted? How Does Your Dentist Diagnose Impacted Wisdom Teeth? Your dentist will feel the wisdom tooth area for swollen gums, tenderness, drainage or redness which can mean the wisdom tooth is infected. Your dentist will also ask you about your dental hygiene. After this, dental x-rays will be taken, which will show where the wisdom teeth are positioned. This enables your dental surgeon to determine the right removal strategy. The x-rays will also confirm if there’s any damage to the jawbone or to the other teeth. What Happens If The Impacted Wisdom Tooth Is Not Removed? Since impacted wisdom teeth can cause damage to the gums, bone, and teeth nearby, it is not recommended to avoid removal. Your dentist will recommend surgical removal, instead of leaving the tooth as it is. The longer you delay removal, you’ll be left at greater risk for tooth, gum and bone damage. Infections can result over time, causing pain, and bring the danger of the bacteria entering open tissue. What seems like a simple oral infection can have a negative impact on the health of your system. Not all impacted wisdom teeth require removal. However, if you’re experiencing an infection in the area or if cysts have developed, then surgical extraction is necessary. Your dental surgeon may use local or general anesthesia, depending on how complicated the surgery is going to be. If it’s a simple case of impacted wisdom tooth removal, local anesthesia is sufficient. Your dentist will first make an incision in the gums. Then any bone that might be blocking the impacted wisdom tooth is gently removed before the tooth itself is touched. Once the tooth has been extracted, the incision is stitched shut. The empty tooth socket is cleaned and packed with gauze to prevent bleeding. If your impacted wisdom tooth has grown at an angle, or if it’s too big to extract in one piece, your dental surgeon will have to try other methods. If the tooth is too large, the surgeon will have to use a drill to cut it into smaller pieces. In this way, the patient experiences lesser trauma. If the tooth is badly infected, surgery will be delayed. The infected tooth will have to be treated first using antibiotics. The dental surgeon is likely to wait a week or ten days before proceeding with surgery. Post-surgery, you’ll be sent home with a few recommendations as to your diet. You’ll be prescribed painkillers to manage the expected postsurgical pain and swelling. Exposure of dry tooth socket or bone. This happens in about 5 to 10% of those who undergo impacted wisdom tooth extraction. There’s a reason why dry socket or bone exposure happens. After surgery, a clot forms in the extraction site to stop the bleeding. The clot feels soft and pliant for a few days and then develops a hard scab. If the clot melts away and doesn’t form a scab, then dry socket and bone exposure occur, leading to pain and inflammation. Lower jawbone weakness that might interfere with your jaw movement. If you develop any of these post-surgical complications, you should contact your dental surgeon immediately. 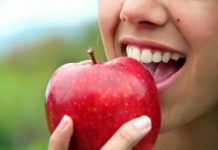 Dr. Michael Chaben is the dentist at http://www.platinumdentalcaremi.com/, a state of art dental care facility in Livonia, Michigan. He is a graduate of the University of Michigan School of Dentistry. He completed a one-year general practice residency at Sinai Hospital of Detroit and has completed numerous post-graduate courses including cosmetic dentistry, implant dentistry, and laser dentistry. He is a proud member of the American Dental Association, Michigan Dental Association, Detroit District Dental Society and the Academy of General Dentistry. Dr. Chaben spends his free time playing tennis, golf, and traveling.